REGISTRATION AVAILABLE IN-STORE AT SHOES & BREWS or online following link in event tickets area. NEW COURSE: This year, things are going to be a little different on the course as there is serious construction on our normal route! BUT, glass half full right . . . . yay new course! We will be starting and finishing just across the street from Shoes & Brews and jumping onto the (to be opened) trail system to the East side of main streeet. We will be winding through the brand new Dicken’s Farm Nature area and then making our way back on the path to the finish! Course map will be going up much closer to the event as trail finalization is still happening! Stay tuned, it’s gonna be fun! The race finishes at Shoes and Brews with beer from Shoes & Brews and Left Hand Brewing. Along with Food, live music and a sweet post-race expo! If you’re feeling rather fast on race day, you may even qualify to win your weight in beer from Left Hand Brewing! First place female and male runners will walk away with a keg of their choice, so start adding in the speed-work and the gains because how often do you have the chance to win YOUR WEIGHT IN BEER?? We’ve also added a second wave of overall female and male winners from the open wave who will win a pair of shoes! !!! Then we’ve got age group prizes for the top 2 in each age group – rewarding you with beer! (*except if you are under 21) Growler and fill from Left Hand for winning your age group and crowler fill from Shoes & Brews for second in your age group. If you’re feeling less fast and more fancy, we have added the Best Dressed category to our race again this year. Winners of this category will receive the sublime Left Hand Brewing Beer 4 a Year Certificate, which is obviously worthy of you putting in some effort on that costume you’ve been thinking about. Especially since we are only a few days out from Halloween, put that costume to work! If you’re not feeling fast OR fancy, you can just try your luck at being a random prize winner! Shoes, watches, apparel, nutrition, race entries, beer and MORE will be raffled off after overall awards. Our giveaways can’t be beat! Race Day: Saturday, November 3rd, 2018. Wave starts at 9:30 am & 10 am. 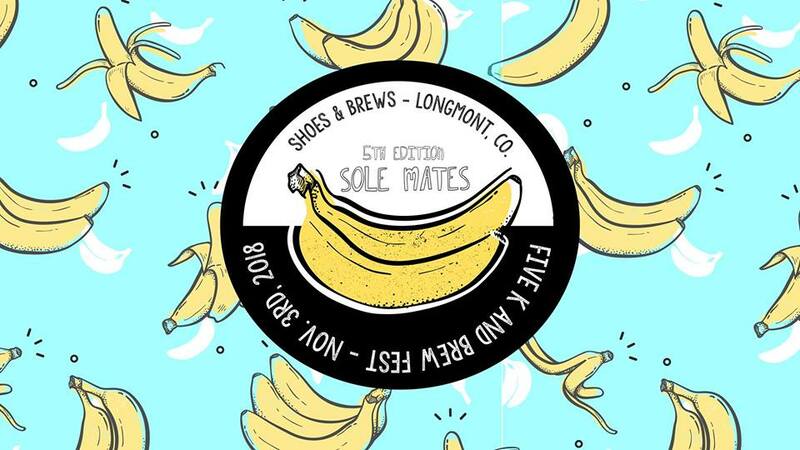 Race Start & Finish this year: Shoes & Brews (63 S. Pratt Parkway, Unit B, Longmont Co. 80501) Parking will also be in and around S&B that morning. There will be a team of parking attendants to guide you to designated parking. Watch for large orange signage that morning. Race Registration: $35 through end of September via RunSignUp or in-store at Shoes & Brews, registrartion then goes up to $40 until sold out. We expect to SELL OUT so sign up early!! Packet Pickup: Friday, November 2nd 2-8pm at Shoes and Brews or 8:30- 9:45am on race day at Shoes & Brews. Packet Pick-up is HIGHLY SUGGESTED ON FRIDAY as lines on Saturday morning can get long! Other info: Your race entry includes an event customized Technical Run Hat ($27 value), entry into the race expo including beer, food, packet pickup day/race day discounts in – store, and post-race raffle! * IF YOU PLAN ON DRINKING, YOU MUST BRING YOUR I.D. WITH YOU! There will also be non-alcoholic beverages available from Oskar Blues & High Brew Coffee. Want to volunteer that day and earn some free beers, food and swag? Email into ashlee@shoesbrews.com for details. Are you killer fast and think you’ve got what it takes to be in our First Wave? We’ve got a few comp entries available, email into ashlee@shoesbrews.com with some of your times and we will get you in! Limited available to reach out now!